Subtitle: "Intelligent Design" is NOT Biblical, but his its original roots in 19th Century Deism; in the New Age Movement starting in the mid-1990's; and currently in pseudo science and mathematics which disbelieves both Darwinism and Biblical Creationism. Yet, undiscerning Christians are believing that "Intelligent Design" is Christian! Satan is an incredible deceiver of mankind. He deceived Eve in the Garden of Eden, convincing her that she would be like the gods, knowing good and evil if she would just partake of the forbidden fruit, and convincing her that God really did not mean what He said when He told her she would die if she ate of the fruit. Satan is telling these two lies on a grand scale today in the New Age Movement, as tens of millions of people are striving mightily to "achieve their godhood" through prescribed daily rituals and meditations. The New Age Movement also teaches Reincarnation, which is the Deceiver's slick attempt to persuade people that they really never die, but come back in a different human body almost endlessly. The New Age Movement also spawned a very big lie in the mid-1990's when her authors suddenly began teaching a new version of creation. Instead of teaching Evolution, their authors suddenly began to acknowledge that a "design" was too evident in science and Nature to be ignored; therefore, since a design presupposes a "designer", New Age authors began to teach an "Interventionist Creation", where Aliens came to Earth many millions of years ago, created Earth as we see it here, including humans, and then left. The natural processes of Evolution and Natural Selection then completed the task of creating the world as we see it today, operating according to the scientific laws which the Aliens had originally set in motion. Today, that New Age theory that super-intelligent Aliens intervened in world history at just the right time to create the world as we know it today has emerged with a new name and with pseudo-science and mathematics to make the concept believable; the term for this "new" theory is "Intelligent Design". Furthermore, political pressure from key leaders across this land has begun promoting "Intelligent Design" as curricula to be taught along with Evolution in Public Schools. Recently, President Bush joined this political chorus. Let us begin our study at this point. "WASHINGTON — President Bush said Monday he believes schools should discuss "intelligent design" alongside evolution when teaching students about the creation of life ... Bush declined to go into detail on his personal views of the origin of life. But he said students should learn about both ideas ... 'I think that part of education is to expose people to different schools of thought'...."
"The theory of intelligent design says life on earth is too complex to have developed through evolution, implying that a higher power must have had a hand in creation. Christian conservatives — a substantial part of Bush's voting base — have been pushing for the teaching of intelligent design in pubic schools." If Christian conservatives are backing President Bush on the teaching of "Intelligent Design", does that mean this concept is Biblical? If political figures -- which have heretofore pushed Evolution in Public Schools -- are now willing to teach that the universe was created by a "higher power", does that mean this concept is Biblical? Note that Freemasons require a belief in a "Higher Power" (God) from all their members. Their "higher power" is also called God, The Almighty, Providence, and Grand Architect of the Universe -- but never "Jesus". Should genuinely saved Christians rush to support this "Intelligent Design" concept? Or is the Christian community once again being cleverly deceived? INTELLIGENT DESIGN -- BIBLICAL OR HUMANISTIC? Let us now begin our study. What is "Intelligent Design"? "Design theory—also called design or the design argument—is the view that nature shows tangible signs of having been designed by a preexisting intelligence. It has been around, in one form or another, since the time of ancient Greece. The most famous version of the design argument can be found in the work of theologian William Paley, who in 1802 proposed his 'watchmaker' thesis ... Just as a watch’s parts are all perfectly adapted for the purpose of telling time, the parts of an eye are all perfectly adapted for the purpose of seeing. In each case, Paley argued, we discern the marks of an intelligent designer." "Moreover, Paley and other 'natural theologians' tried to reason from the facts of nature to the existence of a wise and benevolent God. All of these things made design an easy target for Charles Darwin when he proposed his theory of evolution. Whereas Paley saw a finely-balanced world attesting to a kind and just God, Darwin pointed to nature’s imperfections and brutishness ... Following the triumph of Darwin’s theory, design theory was all but banished from biology. Since the 1980s, however, advances in biology have convinced a new generation of scholars that Darwin’s theory was inadequate to account for the sheer complexity of living things. These scholars—chemists, biologists, mathematicians and philosophers of science—began to reconsider design theory. They formulated a new view of design that avoids the pitfalls of previous versions. Called intelligent design (ID) ... this new approach is more modest than its predecessors. Rather than trying to infer God’s existence or character from the natural world, it simply claims "that intelligent causes are necessary to explain the complex, information-rich structures of biology and that these causes are empirically detectable." 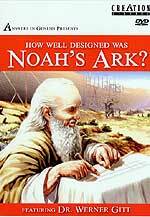 Note that the creators of Intelligent Design did not attempt to "infer God’s existence or character" from their observations of an incredibly complex world -- a world which they acknowledge could not have possibly come into existence on its own, through limitless accidents over billions of years. The God of the Bible intended that man would come to a knowledge of Him, His Son, and His Gospel through observations they make in Nature. Therefore, it is unbiblical to the highest degree to recognize that a super-intelligent creator had to have designed this world, but stop short of identifying Him as Jesus (John 1:1-14 and Romans 1:18-25). On this point alone, Intelligent Design is shown to be unbiblical and, therefore, unworthy to be supported by genuine Christians. "...the odds against DNA assembling by chance are 10x40,000 to one [according to Fred Hoyle, Evolution from Space,1981] .... Intelligent design (ID) refers to the theory that intelligent causes are responsible for the origin of the universe and of life in all its diversity. Advocates of ID maintain that their theory is scientific and provides empirical proof for the existence of God or superintelligent aliens. They believe that design is empirically detectable in nature and in living systems. They claim that intelligent design should be taught in the science classroom because it is an alternative to the scientific theory of natural selection." Note that I.D. supporters admit that "super intelligent aliens" could have created this world. This next segment we wish to quote brings us into direct contact with a segment of Intelligent Design supporters who believe that they know who the Creator is. Indeed, a number of I.D. proponents believe that a race of super-intelligent aliens visited Earth in the primordial past to create the world as we know it, or at least to create life in a simple form, depending upon the "forces of Evolution" to perfect their original creation after they left. At this point, I.D. becomes merely an extension of the earlier New Age teaching that very intelligent Aliens visited Earth many years ago, and did create the world as we know it today. This reality should be enough to persuade any Fundamental, Bible-believing Christian that Intelligent Design is not Scriptural and should, therefore, not be supported by any Christians. Yet, the Fox News article, quoted above, clearly states that Conservative Christians are pushing President Bush hard to support Intelligent Design, which he clearly has now done. Furthermore, in searching for information on this theory, I noted that a number of organizations whose name sounds so very Christian are supporting I.D. Let us now return to this New Yorker article to gain even more insight. Did you catch the pertinent facts in this paragraph? * "Nor does I.D. flatly reject evolution: adherents freely admit that some evolutionary change occurred..." The Bible rejects Evolution and ascribes all creation in specific moments of time to an Omniscient, Omnipotent God. Then, just to make sure that the reader understood that the Word was Jesus Christ, the Holy Spirit inspired John to write, in verse 14: "And the Word was made flesh, and dwelt among us..."
When a person refuses to identify the Creator, that person is opening a door which Satan will immediately walk through to create discord, distrust, and misinformation. What did our Skull & Bones President refuse to do, in the article above, where he urged that Intelligent Design be taught? He refused to reveal his personal belief as to who the Creator might be. Since President Bush is Skull & Bones, a Masonically-based secret society, he likely believes that the Creator is the Supreme Architect of the Universe, that Force which has ever been present in the universe. Masons will use the term, "God" to describe this Supreme Architect of the Universe, but they know they are not speaking of the God as taught in the Holy Bible. Christian author, Ken Ham, will speak later about this subject of identifying the Creator, and how eternally important it is to admit Who the Creator is. Now, this article gets very pointedly to the main argument of I.D. While this concept places the movement into direct conflict with Darwinism, it still does not conform to Christian, Biblical doctrine, either. It is a middle "lukewarm" road -- neither Darwinism nor Christian. Now, let us examine the arguments by Ken Ham, author of many Creationist books and videos we carry in our Bookstore, and founder of "Answers In Genesis". Let us go immediately to that portion of Mr. Ham's dissertation where he admits that the Intelligent Design leaves open the possibility that Aliens created this world. "The movement’s apparent refusal to identify the hypothetical designer with the Biblical God (some IDers have pointed out that the design work they postulate could even have been performed by aliens) is seen as a prudent necessity to keep the argument on philosophically ‘neutral’ ground, and thus avoid a lot of anti-Christian hostility." This issue is very strong, for Hollywood has been intensely intent since World War II to keep the subject of Aliens and UFO's alive and strongly in the public consciousness. A shockingly high percentage of Americans do believe in Aliens and UFO's with many believing that they are going to intervene again in human affairs. To understand the belief that aliens are benevolent, that they have intervened in world history already and that they are preparing soon to intervene again -- also benevolently -- read NEWS1912, "When UFO's Arrive". Now, let us go back to this article from "Answers In Genesis" for more information as to what Intelligent Design is and why it is not Biblical. Please note that I.D. advocates look at Darwinism (also called "Naturalism") as their mortal enemy; but, then they turn around to accept much of the Darwinian beliefs along the way. I.D. does not rule out that Evolution has been occurring for billions of years, just as Darwin advocates teach; their only difference is that they believe that, at some point along the way, a super-intelligent being of some sort intervened to start the evolutionary process. And, yes, this "super-intelligent being" might have been Aliens. They reject the Biblical view that Omnipotent God (Jesus) created a perfect world, populated by a perfect set of human beings, and a perfect natural world to serve them; further, they reject the Biblical revelation that sin ruined this perfect world, setting into motion all the evil, disaster, suffering, and death from which mankind has suffered every day since then. As we shall see in a few moments, rejecting the Biblical notion that man's sin ruined an originally perfect world carries some very significant practical and theological problems -- eternal problems. Therefore, you can see that Intelligent Design is NOT Christian, does not think of itself as Christian, and cannot be considered by Christians as being Christian! Yet, many Evangelical, Conservative Christians are pushing the agenda of Intelligent Design as though it were Christian. How can this be? The people at Answers In Genesis believe the reason is simply pragmatic -- at least in part. This pragmatism sounds like the old adage that "any enemy of my enemy is my friend". While that adage may hold some attractiveness in human philosophy, it is totally unbiblical. However, Evangelical Christians during this era have taken a number of positions based upon pragmatism rather than the Word of God. This sad scenario is similarly based. Actually, this pragmatic view sounds suspiciously like Step 6 of the Six-Step Attitudinal Change Plan, that stage which spells disaster to the Biblical worldview, on any subject (like Abortion). Now, the author of this featured article really gets to the point to which we alluded to, above. It is a very serious Biblical matter to refuse to identify the acknowledged creator, the "super-intelligent" creative alien being or force, for that refusal can lead to some very serious consequences. 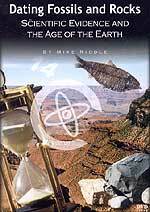 We have already noted, above, that the New Age Movement started teaching, in the early 1990's, this notion of a highly intelligent Alien intrusion into world events at some point in the distant past which tried to explain the world as we know it today. Either the Aliens created life on Earth outright, or they created the process by which Evolution could complete their original creation - so this theory teaches. In other words, at this point, Intelligent Design is nothing more, nor less, than New Age teachings of a decade ago! These theories are now simply dressed up in other clothes, in order to widen the scope of the deception. The author of our featured article, above, makes a very pertinent point about the fact that I.D. takes almost all of its inspiration from the "power of the design argument", i.e., they observed intricate design which requires a "Designer". This Biblical understanding is terrific and directly to the point. 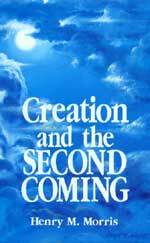 Believing in Biblical Creationism leads a person to the Gospel of Jesus Christ, which leads them to eternal salvation. However, teaching that some sort of unknown designer had to have created this wonderfully complex world, but then rejecting the Gospel and the Creator Jesus throws Intelligent Design into the "naturalistic" camp of Darwinism. Christians cannot support Intelligent Design and should not think that it is Christian. Further, President Bush seems to be simply deceiving his genuine Christian supporters when he proposes that Evolution be counterbalanced in schools by Intelligent Design. The only effective counterbalance to Evolution is Biblical Creationism. Most Christians instinctively know this, and since they are ignorant of the details of Intelligent Design, conclude that I.D. must be synonymous with Biblical Creationism since our President is proposing just that kind of counterbalance. Too many Christians will be duped into thinking that Intelligent Design is Biblical, is synonymous with Biblical Creationism and deserves to be politically supported. This deception is a very high type (Matthew 24:4, 11, 24) and certainly represents another "Sign of the Times". Are you spiritually ready? Is your family? Are you adequately protecting your loved ones? This is the reason for this ministry, to enable you to first understand the peril facing you, and then help you develop strategies to warn and protect your loved ones. Once you have been thoroughly trained, you can also use your knowledge as a means to open the door of discussion with an unsaved person. I have been able to use it many times, and have seen people come to Jesus Christ as a result. These perilous times are also a time when we can reach many souls for Jesus Christ, making an eternal difference.